The United Arab Emirates ranks as #21 on the Ease of Doing Business in the World Bank data report for 2017, which went up ten ranks from its position at #31 in 2016. The growth of this thriving country, whose economy is dominated by the petroleum industry, has made the UAE a very tempting place for many businesses to open up shop. The UAE is based adjacent to the Arabian Peninsula on the eastern coast. It is a federation of seven emirates, the largest of which is Abu Dhabi. Abu Dhabi also accounts for a majority of the oil industry and the wealth of the nation. The next largest emirate is Dubai, which is a famous port city that has grown into a booming commercial center for multinational corporations. The smaller emirates include Sharjah, Ajmān, Umm al-Qaywayn, Raʾs al-Khaymah, and Al-Fujayrah. 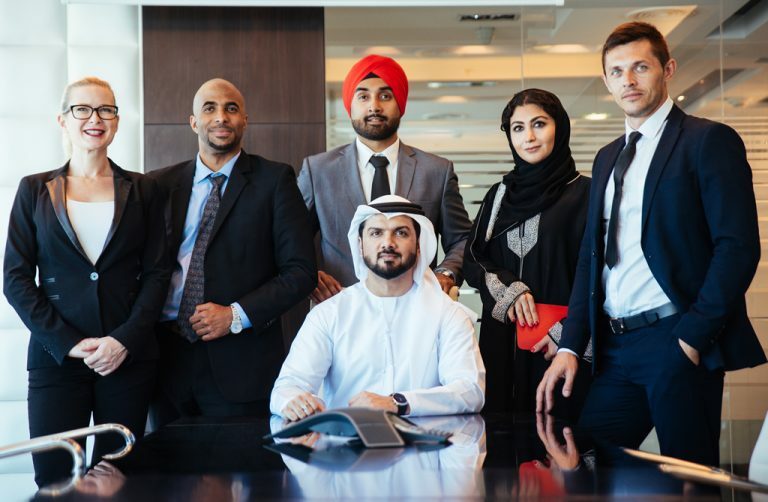 Although the official language for the UAE is Arabic, many people speak English as well, especially in the business world. The UAE has become extremely attractive to business owners for a plethora of reasons. If you are interested in starting your own business in the UAE, now is the time to do it. Read on to find out how easy it is to open up your own business and make considerable profits in the UAE. Yes, the UAE has an open economy. It is one of the most accessible countries to trade within the Gulf and it has a very high per capita income. Many countries have already made their way to the UAE, and in so doing have helped to increase the economy even more with their foreign capital. The previously established nation has become even more wealthy with the influx of offshore companies and money. The UAE is already a cozy home to several multi-million dollar corporations and small start-up companies. The government of the United Arab Emirates caught on quickly that foreign investment would lead to a skyrocketing economy and therefore made it easier than ever for foreign companies to bring their businesses overseas. Foreign nationals get their own set of rules and regulations to follow, which includes fast-tracked legal procedures. They want you in the UAE and the government won’t make you wait as they only require a minimal amount of paperwork. They have also set up registration and licensing to be fast and easy to understand. Foreign companies can apply to be tax exempt under the free zone economy. This means that international businesses do not need to pay a corporate tax nor an income tax. All of your profits are just that, profits. There are free zones in Ajman, Dubai, and Abu Dhabi. When researching where you should take your company, those three areas should top your list. The UAE attracts a strong workforce to its largest cities. There is an abundance of skilled and unskilled workers that flock to the UAE from places such as India. It is such an attractive place for employees and employers alike because of their low tax structure and very high wages. UAE residents are also very well-taken care of. 92% of people are literate, and health insurance is mandatory. They have an established education structure, and international universities have been set up in the UAE including NYU and MIT. Whatever your business needs, the UAE has made sure that they already have it set up for you. When you bring your business to the UAE, you will have easy access to transportation, business parks, warehousing, and office spaces. There is no need to start from scratch. The UAE offers easy access to it’s fast-growing and well-established neighbors, including its major trade partner, the European Union. It is also close to China and India and has excellent trade relations with both countries. Plus, it is a safe place to work with a relatively low crime rate. The UAE caters to its foreign investors, and because of its location, safety, workforce, and infrastructure, it easily attracts many foreign companies looking for an excellent location for expansion. If you’re looking to start your own business, then the UAE is a great country to start in because it has all the tools necessary to set you up for success.